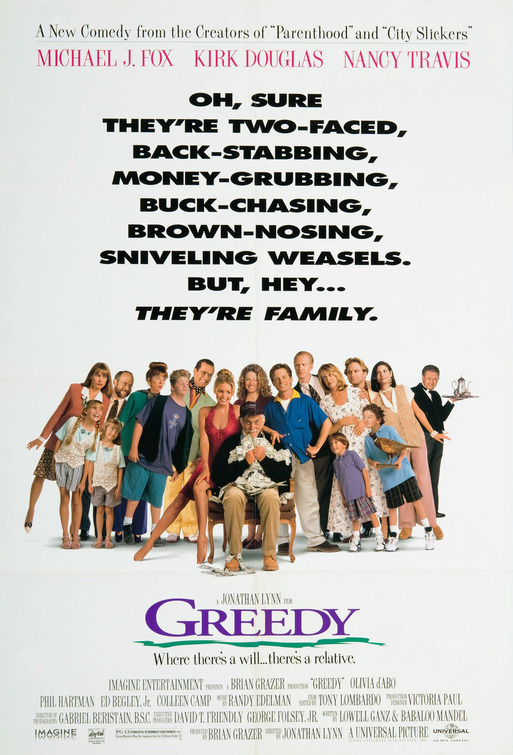 tagline: "Oh sure they're two-faced, back-stabbing, money-grubbing, buck-chasing, brown-nosing, sniveling weasels. But hey...they're family. Where there's a will... there's a relative."